I remember just a few years ago when rocking some simple Ardell or Red Cherry lashes was the thing, but now so many lash companies have emerged sporting the fanciest, fluffiest styles and, to be honest, the price tags are getting quite ridiculous. If you're anything like me, however, you go through lashes like crazy and paying those prices just isn't feasible. The best alternative I've found, then, is to create your own lashes...or customize them rather. When picking the lashes you are going to use, it is important to pick them in a style that can easily work as your base. 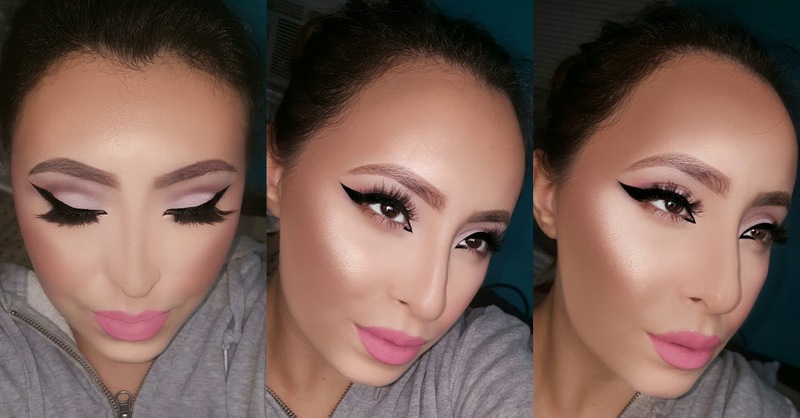 Don't pick a super thick voluminous pair if you're going for a more flared, wispy cat eye effect. Personally, I like the Ardell Demi Wispies because you can get the 5-pack for super cheap and it also works as a base for so many different styles. I will be demonstrating this today by creating three of my favorite styles: Cat Eye, Centered Wispy, and Spiky. Also, the lash adhesive that you use will be dependent on how long you want that style to last. 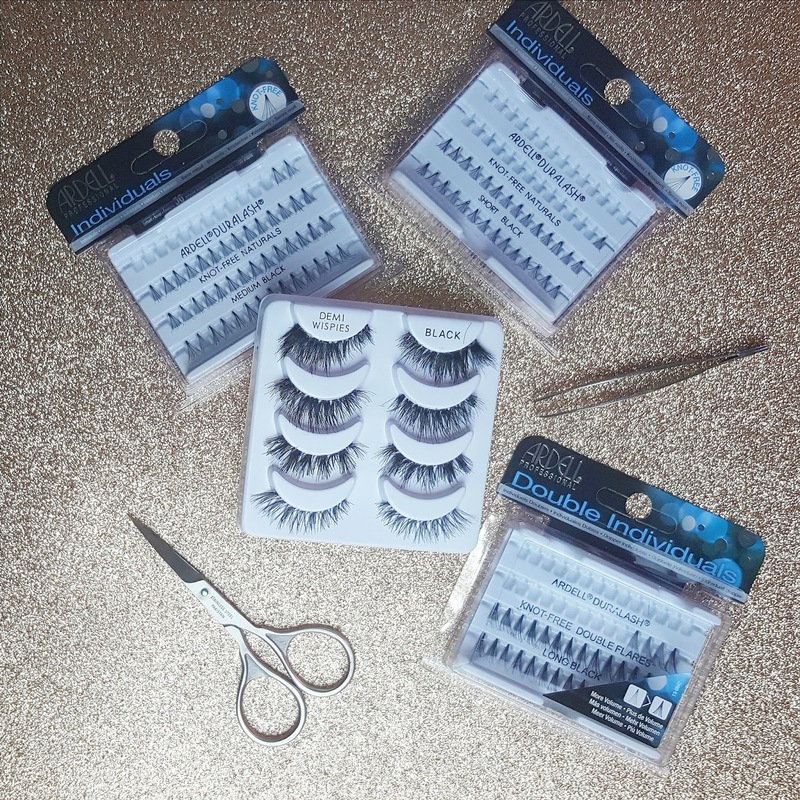 If you know for certain that you only wear that particular style of lash, you can go ahead and use the permanent adhesive used on eyelash extensions. If not, simply use your regular favorite lash adhesive like Duo or Revlon, which I will be using today. The benefits for using a regular lash adhesive are that you have more time to move around and adjust the individual lash positions to your liking as well as recycling the individual lashes once you are bored of the style. Unfortunately, this means that your lash creation is more prone to getting messed up during wear, so just be mindful of that. Tips & Tricks ♥ Before you begin placing the individual lashes on your base pair, take the base pair off of the case and press them against the skin to remove any excess adhesive. This will be especially helpful once you've finished building your lashes and attempt to remove them from the case. You will also notice that you are going to need to remove the lashes several times during this process to prevent it from getting stuck. ♥ When I start the lash building process, I personally like to begin by placing the long individuals down first. This acts as a guide for where I would like the other lashes to be. ♥ I suggest choosing a lash base that has slight gaps in it. These gaps tend to be perfect placeholders for the individual lashes. ♥ Using tweezers will make the experience so much easier. They allow for much better precision because you can actually see what you are doing. Also, the back of the tweezer is useful for pushing the lashes down against the band and securing them in place.